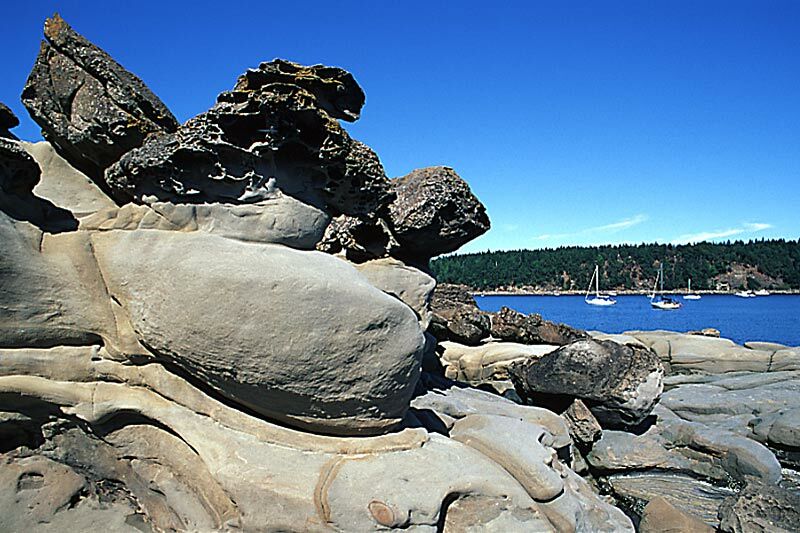 Located on Hornby Island, the 95-hectare Tribune Bay Provincial Park is known for its beautiful white sandy beach and unusual rocky shoreline formations. 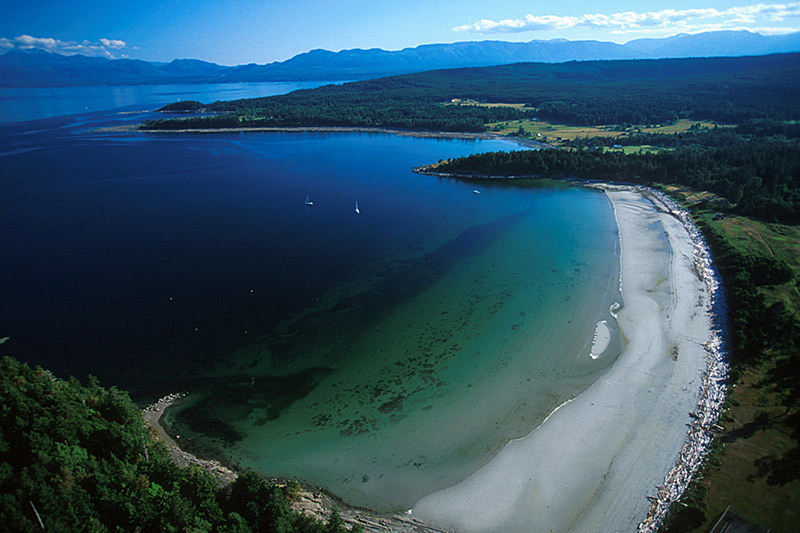 Tribune Bay boasts eroded hoodoo formations and more than 1,000 metres of sandy beach that vies with any in the Gulf Islands as the most ideal place to frolic and swim. Tribune Bay is considered to be one of the warmest saltwater swimming areas in British Columbia. Sunbathers and swimmers are attracted to the sun-warmed aquamarine waters and the beach that stretches endlessly out to sea at low tide. The shallow waters reach near tropical temperatures in summer. Hiking, fishing, leisurely walks and picnicking are other popular pastimes in Tribune Bay Park. If you arrive here in spring, you’ll be treated to a dazzling display of wildflowers in the area. The rewards for visiting later in summer are the huckleberries and the dark blue salal berries that cloak the island, including the hillside above the beach in nearby Helliwell Provincial Park. Facilities include picnic tables, pit toilets and wheelchair access. There are no vehicle accessible camping facilities at this park, but a number of nearby commercial campgrounds can accommodate travellers. The nearby Co-op Store, a five-minute walk from Tribune Bay, is the commercial hub of Hornby Island. Two miles southeast of the park are the impressive headland cliffs of Helliwell Provincial Park. Tribune Bay Provincial Park is located on Horny Island in the Northern Gulf Islands of BC. 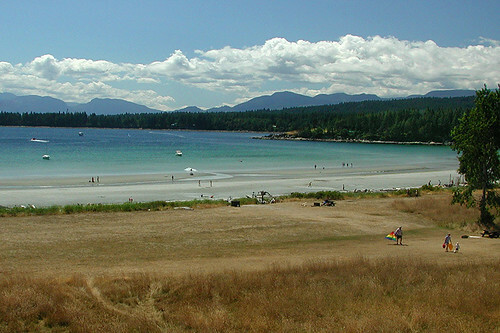 To reach Hornby Island take the Denman Island Ferry from Buckley Bay, off Hwy #19a. Take Buckley Bay exit #101 from Hwy #19. 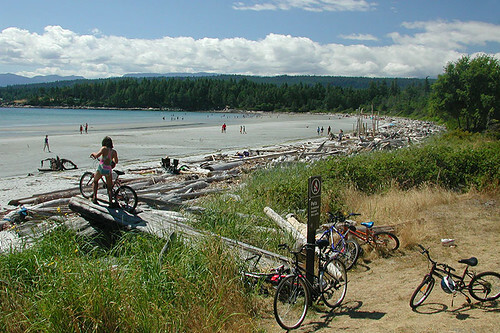 Once on the island, follow Denman Road to the Hornby Island Ferry terminal. 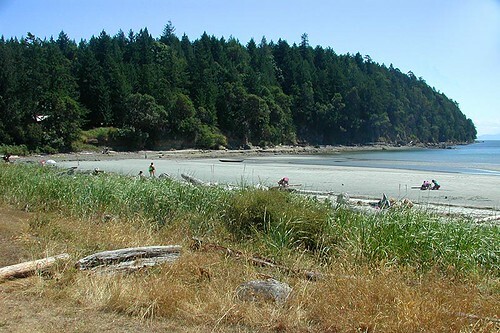 Another 10 minute ferry ride will put you on Hornby Island; from there follow the main road to the Hornby Island Co-Op then turn left following Central Road to the entrance to the park.